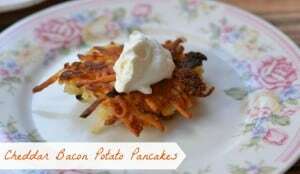 Potato pancakes are quick and easy to make for breakfast or dinner. 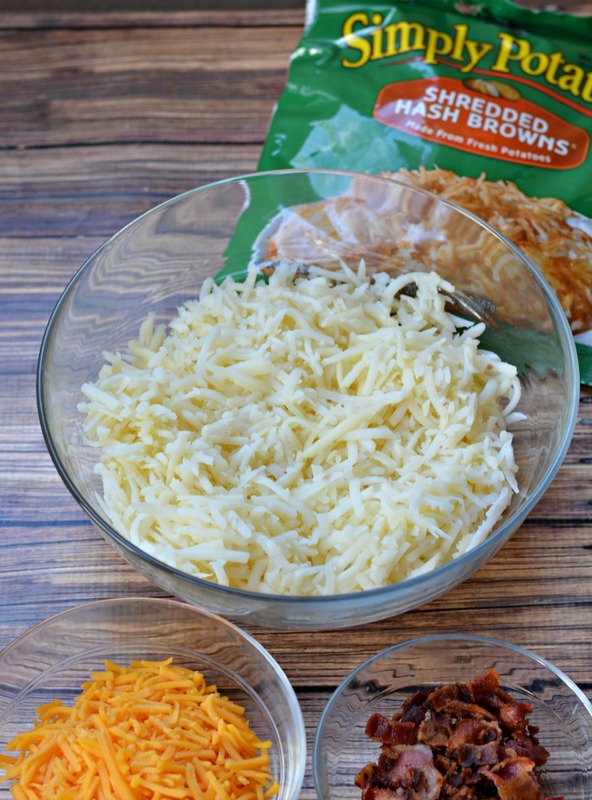 Simply Potatoes hashbrowns are combined with a few basic ingredients to help you get your family fed. One of the very first conversations my husband and I had when we met was about “latkes.” I don't recall why we were discussing them, but I pronounced the word lat-key, which sent him in to fits of laughter. My husband, in all his New York Jewishness, corrected my pronounciation and informed me that the word is pronounced lot-kah. It's been a running joke ever since and mostly I just call them potato pancakes now. I love making potato pancakes for my family and I don't make them often enough because peeling and then shredding all those potatoes is a major pain. Then I found a fantastic short cut in Simply Potatoes hash browns. I found them in the dairy section of the grocery store and they are fresh, never frozen, shredded potatoes. The Simply Potatoes products are so versatile. You can use them for a quick breakfast; as part of brinner (breakfast for dinner); and even as a great short cut in one pot meals or slow cooker recipes. The fun thing about potato pancakes is that you can add just about anything you want. Grated carrots and zuchinni blend right in and no one will notice them. But this time I went a little less healthy and a little more manly added in bacon and cheese. I received no complaints from the peanut gallery on that decision but you may want to skip the bacon if you are serving anyone following kosher dietary guidelines. These really take no time at all to cook up. Just mix up the potato mixture, fry and serve. I actually fried this batch right in the grease in the pan from fying up the bacon! 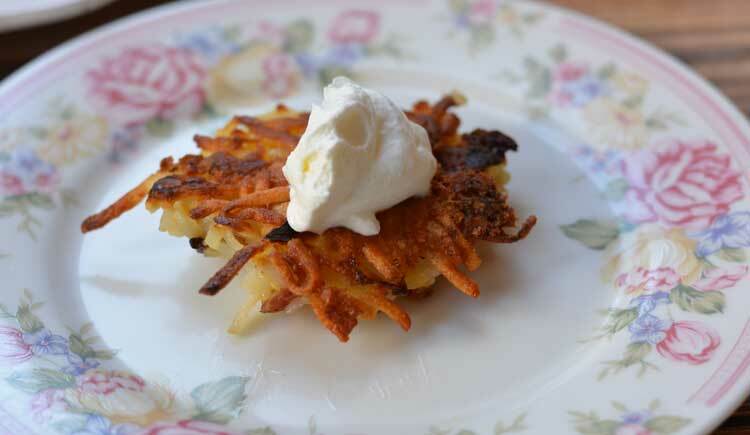 I serve potato pancakes with sour cream and applesauce, but this time I stuck with just the sour cream. Chives would be a nice topping, too. It's a quick, easy and delicious meal my entire family loves. 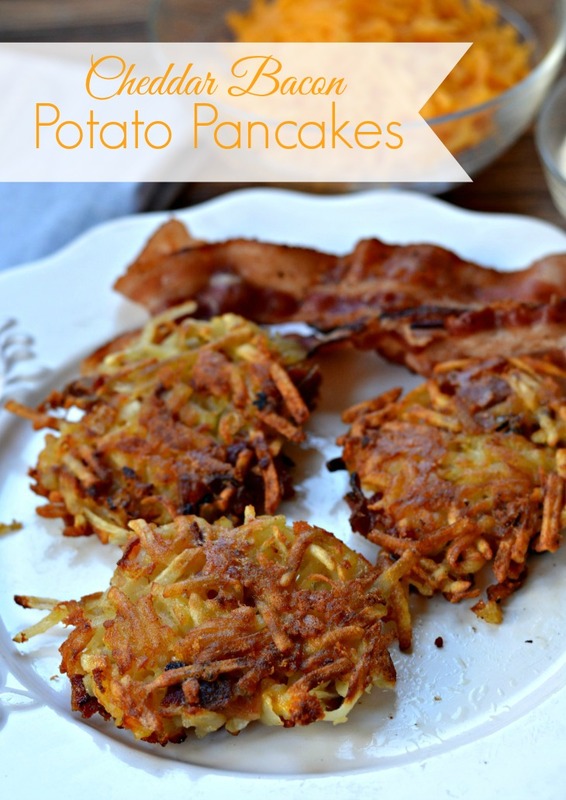 Check out more dinner ideas using Simply Potatoes Favorites and follow Simply Potatoes on Pinterest. Combine hash browns, egg, baking powder and flour in a large bowl and stir to mix. 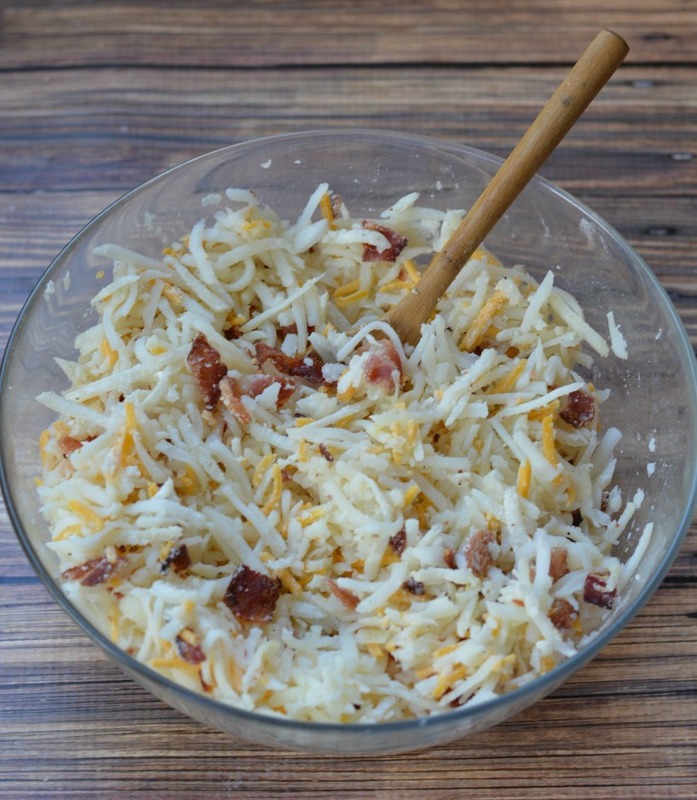 Stir in bacon and cheese. Heat oil over medium high in a large frying pan until hot. Using a large scoop or 1/4 cup measuring cup, scoop mixture into frying pan. Flip pancakes over when the edges are set, about 5 minutes, and fry until browned. this looks totally delicious and perfect for breakfast~! Thank you, Tatnisha! I don’t make them often enough, but will now thanks to Simply Potatoes. I love those potatoes…..they save so much work! Thanks for the recipe. I should’ve thought to try them earlier! Thanks for stopping by!